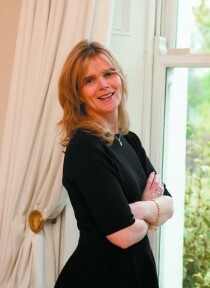 Lulu O’Sullivan is the Chief Executive and founder of GiftsDirect.com. In the twenty years since its inception, the company has grown from a small office in Dublin 2 with an initial investment of £2,000, to Ireland’s largest online gift company. GiftsDirect.com carries a large range of gifts online for every occasion and its products can be delivered worldwide. Lulu is a former recipient of the Ulster Bank Business Achievers Award, The Irish Internet Association’s Online Entrepreneur of he Year and Online Exporter of the Year. GiftsDirect.com was one of the first e-commerce websites to go live in Ireland over 15 years ago, and as a result, Lulu’s experience in trading online and worldwide logistics is extensive. Through innovation and continuous improvement, GiftsDirect.com has managed to maintain the position of market leader in the Irish gift delivery industry. Lulu also launched a second website, The Irish Store, which is aimed at the Irish diaspora. She is based in Dublin.